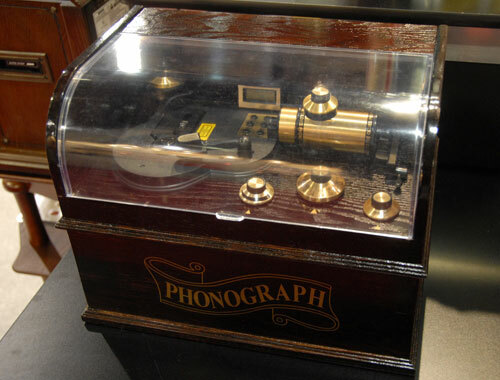 [CES 2009] Phonograph CD Player Is Totally Useless | OhGizmo! By Evan Ackerman on 01/10/09 • Leave a comment! It’s funny how this thing is supposed to be some kind of anachronism, with a CD player built into a phonograph case. The little sensor-arm thingy with the laser in it is a nice touch. (Yes, I know it’s not actually called a “sensor-arm thingy,” but it’s ancient technology, give me a break.) Anyway, what I found funny is that I’d say CDs are also a dead medium, making the entire thing pretty much useless. Look for it in 6 months for about $150.